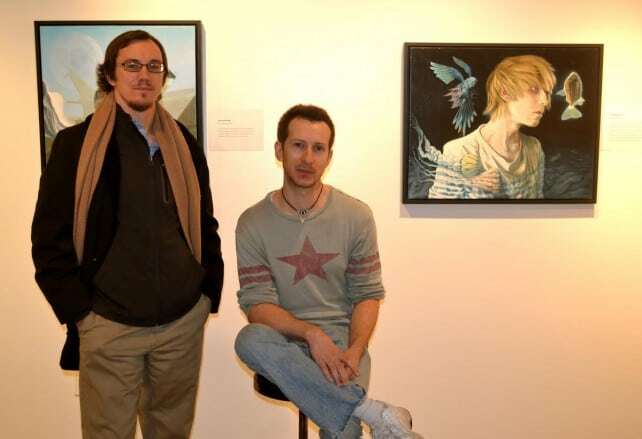 Cody Seekins (left) with patron and artist Christopher Gulick (right). 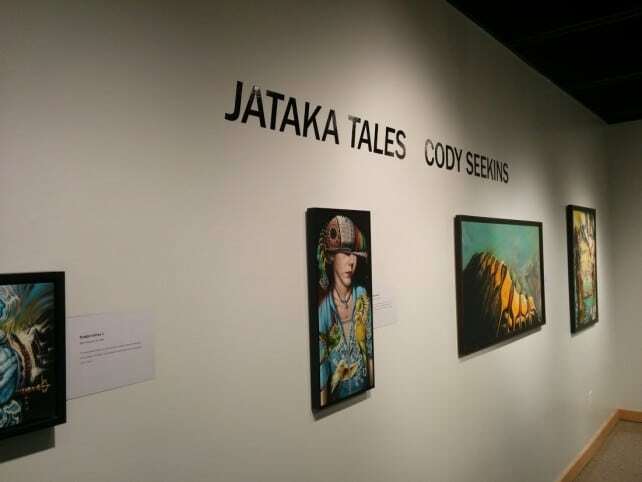 November 28th, 2014 Cody held a final exhibition in Wichita, Kansas before a planned move to Southeast Asia. The weather was fortunately very mild for the time of year, reaching up into the mid 60’s for the high. A good mix of old familiar art community members, as well as new faces, arrived on scene. 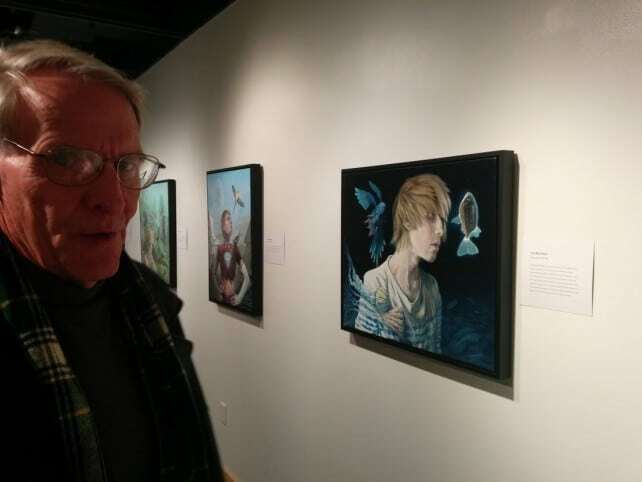 The solo exhibit included a kind of visual genealogy of work, spanning from old seminal paintings from his Undergraduate period at Wichita State University, as an instructor at Frederick Community College in Maryland, Graduate thesis works from The Academy of Art University in San Francisco, and post Graduate work in the studio in Wichita, Kansas. The event was given press releases in the Wichita Eagle Newspaper, with an article by Jason Dilts,as well as local radio announcements. 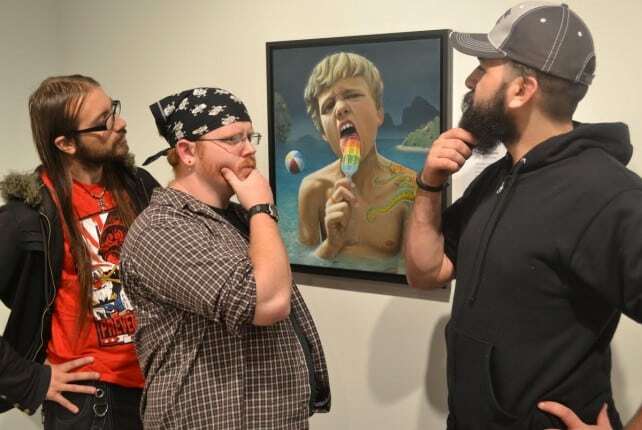 Local Wichitans wax philosophical in front of the painting “Phra Nang Farang“. Personal friend and portrait model John Maxwell. 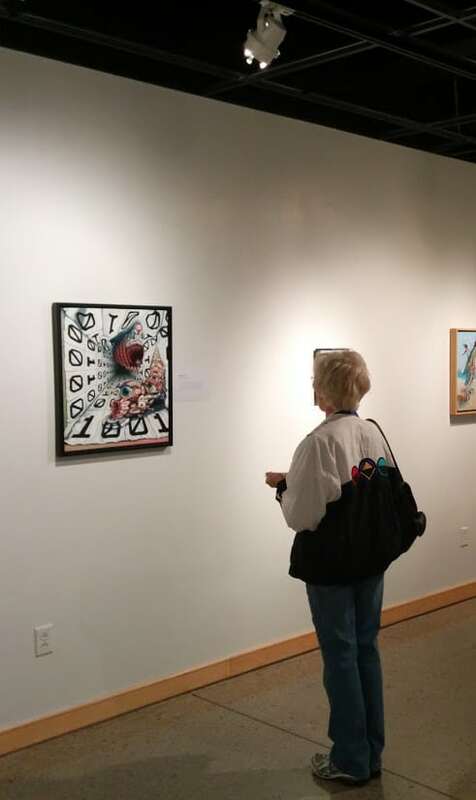 Attendees looking over post Graduate works. 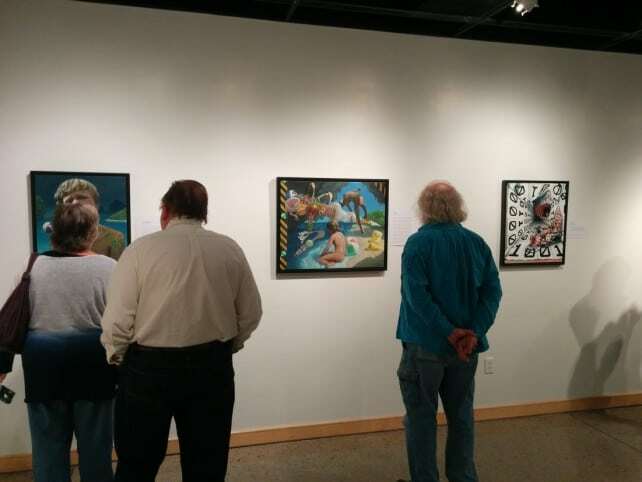 The show runs until the 19th of December at the Steckline Gallery, with open hours Monday through Friday between 9am and 4pm. 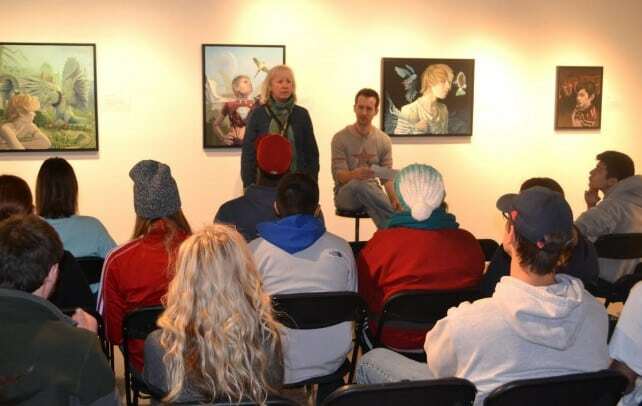 On Tuesday, December 2nd, Cody was the key speaker at a Noon Luncheon Lecture in the gallery, attended by a variety of faculty and students. 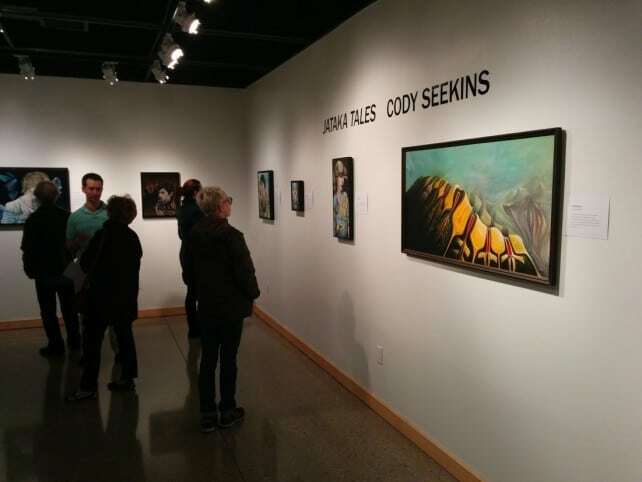 Attendees asked questions about inspirations, influences, the origin of symbols in Seekins’ works, as well as the content and meaning of individual paintings. Interactions were lively and positive from the group. Tenured instructor at Newman, Mary Werner, seen in the above photograph standing beside the artist, introduced him to the crowd. 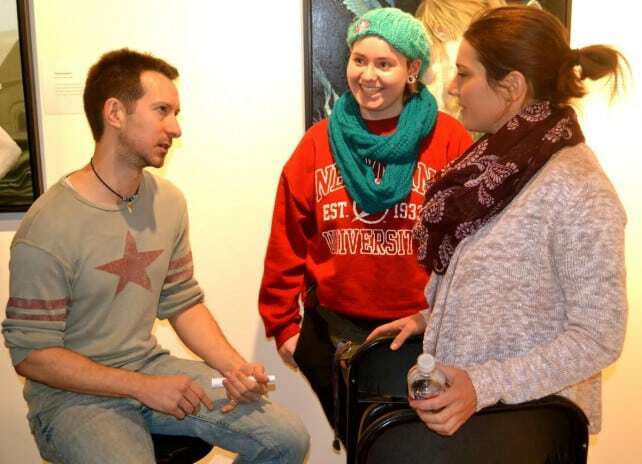 Cody engaging in conversation with two students after the lecture. The student on the right was attending as a foreign exchange, originally from Southern Germany. 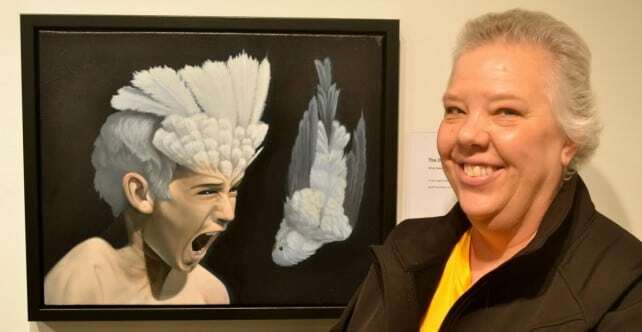 A passionate local admirer of the work poses in front of the piece which she felt connected to her personally. 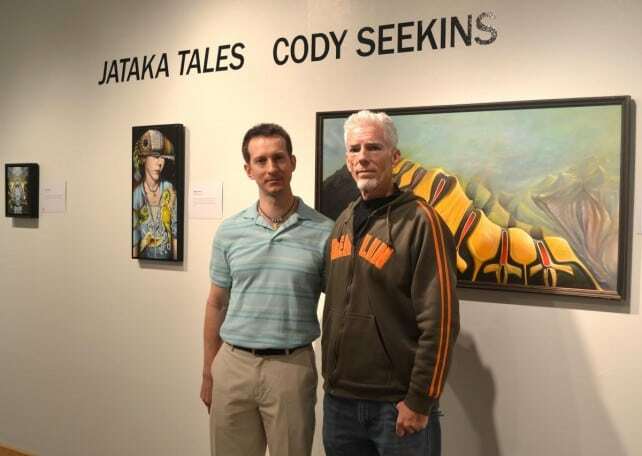 An art appreciator standing for a photograph with Cody. Foreign exchange student hailing from the UK. Photographs of the show and the subsequent lecture are credited to the two individuals who took them, David Quick and Aaron Bolton.